Greg Hudson is a talented performer with an engaging personality who has performed throughout Australia and New Zealand in a wide variety of venues. 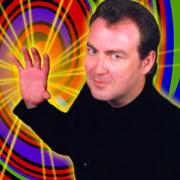 He has hypnotic entertainment available for all ages and occasions from family shows to corporate functions. Hudson’s “Hypnotic Show” is all good clean fun, suitable for all ages. He treats his volunteers with the greatest respect and endeavours to give them an uplifting experience not a degrading one. If you’re looking for a night of fun and laughs this show is sure to fit the bill. Hudson has worked at many of Sydney's leading hotels including The Intercontinental, The Sydney Hilton, The Regent and The Ritz Carlton to name a few. Hudson is also in demand on the high seas where he works regularly for the P&O and Norwegian Capricorn lines of ships. Whether it be for family groups or corporate executives you can be sure “Hudson’s Hypnosis” will be entertaining.